Mr. Harold (Harry) Thomas Teal of Raeford passed away Monday, January 14, 2019 at Cape Fear Valley Medical Center at the age of 70. Mr. Teal was born in Hoke County on October 28, 1948 to the late Raymond Teal and Mary Oldham Teal. He retired from M and E Contracting. 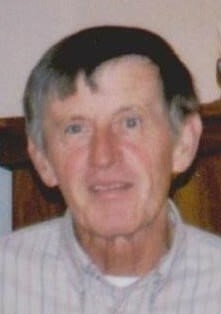 He is survived by his son Harold Dwight Teal and his wife Tonya of Parkton, one brother, Dale Teal of Raeford, 3 sisters, Carol Crittenden, Martha Jo Davis and her husband Charles, and Ginger Matagi and her husband Matt all of Raeford and 4 grandchildren Jody Conrad, Katherine Alexis Teal, Hunter Teal and Trista Teal. Several nieces and nephews. A visitation will be held on Saturday, January 19, 2019 from 1 until 2:00 in the John C. Ropp Fellowship Hall, Raeford Presbyterian Church. A Memorial service will be held 2:00 pm at the Raeford Presbyterian Church with Rev. Dr. Steven Fitzgerald officiating.